Netflix, Spotify, AirBnb, Hello Fresh and Uber. There is a fair chance that you are a regular user of at least one of these on-demand services. And you have every reason to be. After all, we all have believed in the one-size-fits-all principle for way too long! Not for the first time, however, the business arena has trouble keeping up with the consumer market. To set an example and to satisfy the need for more convenience in application delivery, AppiXoft introduces: Scense Service Point. With Scense Service Point we make our own contribution to the continuing user empowerment while alleviating the burden on IT departments instead of frustrating them. All too often, the pressure on IT administrators to deliver a personalized workspace, that fits any individual user, leads to a one-size-fits-all solution. 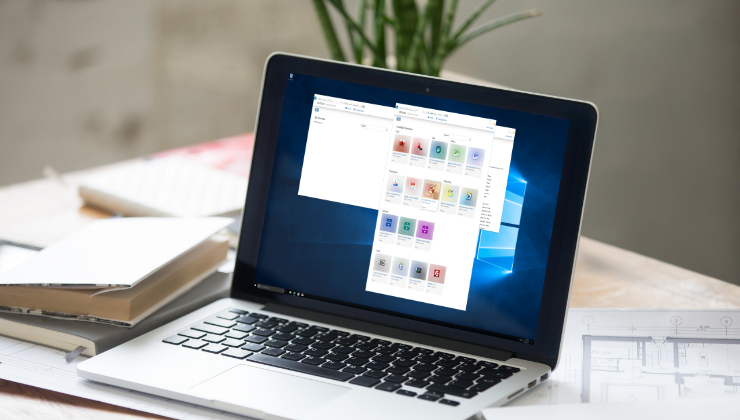 As a result, end-users will receive a workspace packed with applications and other services from which they will actually use just a handful. With Scense Service Point individual users can choose any application or service they need from the Scense Service Point online catalog in real-time. One of the few remaining tasks for the administrator, who remains in control at all times, is to determine what is in the catalog. Once the administrator has organized all applications and services into categories, finding the desired app is child’s play thanks to the simple presentation and effective search feature. The administrator can specify the right audience for viewing and selecting a particular application in the catalog. Needless to say that your very own service catalog can be easily drawn up using the applications and other services that are already included in your current Scense system. Even though there is more to tell about our brand new portal, as you will find on our website, we prefer to let it speak for itself. The Scense Service Point is available for registered customers and partners at our Scense Forum. Do you want to know more about software delivery or other Scense solutions?